This week is Learning Disability Awareness Week #LDWeek2016. 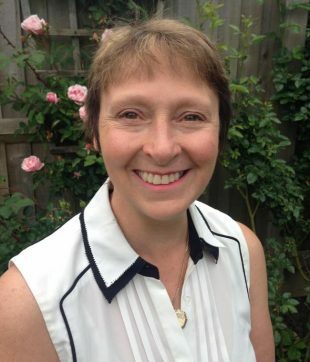 Pauline Watts, Lead Nurse for Learning Disabilities at Public Health England, has provided a guest blog. The overuse of psychotropic drugs, not to mention many others, for people with a learning disability, both in general practice and in hospitals, is a practice that has rightly been challenged in recent times, but one that is still a concern and cause of frustration to many. We know that for years we have been aware of the over reliance on such drugs and the impact that they are having on lives. However, together as nurses, we must work tirelessly to reduce inappropriate use of such drugs through challenge and influence. It is far too easy to use drugs as a ‘chemical restraint’ inappropriately and without review when, with the right advice and support, other more appropriate treatments and/or programmes of behaviour support would be far more beneficial. Surely this is about the reaction when we do not want to look for better but more time intensive solutions. It is certainly not about putting the needs of the individual first! It is fantastic that reducing inappropriate use of psychotropic drugs is now receiving greater attention and is a national priority, not only because of the number of adverse side effects and potential drug interactions, but also because of the impact on quality of care and safety and, more importantly, quality of life. Leadership in nursing is about looking for the right solution, understanding the needs of the person and how the environment, relationships and wider determinants of health impact on behaviour. Yet we say too little when these factors are not considered and a drug option is the treatment of first choice. All of us share a public health commitment to reducing health inequalities and reducing premature mortality and this has to be one of the obvious areas in which we can impact on both of these commitments. I must praise the Stopping Over Medication of People with a Learning Disability (STOMPLD) guidance and toolkit, launched beginning of June by NHS England, which commits everyone to work together, and with people with a learning disability and their loved ones, to take real and meaningful steps to stop over-medication. This is part of sustained action but why shouldn't nurses have a role in becoming the driving force for change that is long overdue. An estimated 35,000 adults with a learning disability are being prescribed and antipsychotic, and antidepressant or both without clinical justification. We can all help to reduce that figure through personal action. Support reduction of inappropriate prescriptions for individuals under your care that have a learning disability and or autism. Push for medication reviews. Work on perceptions and be the inspiration for new approaches that value the individual and enhance quality of life. In short do not be passive, take action and make a difference. Together we will be unstoppable.